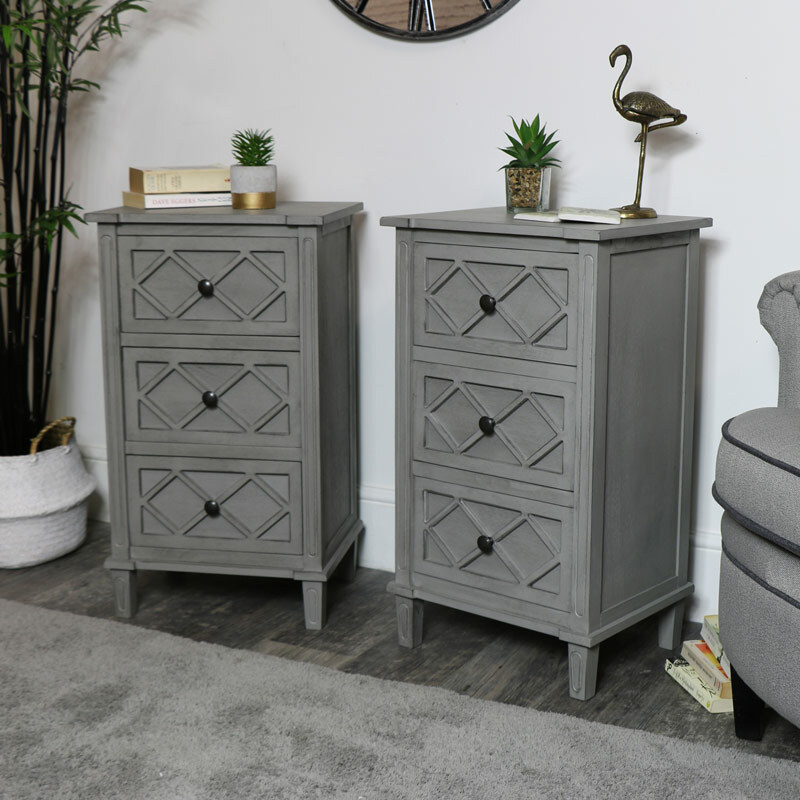 This pair of Venice Range bedside tables would make a fantastic bedroom or living room storage addition. 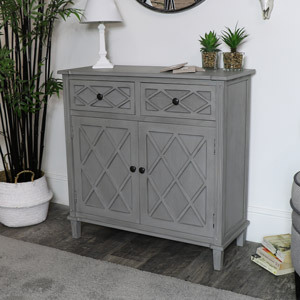 Each has a pale grey painted finish and a vintage inspired wooden latticed frontage. A elegant furniture set ideal for lovers of classic design. 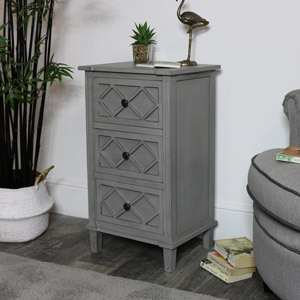 Fully assembled design, offering 3 drawer storage, these chests can be used as bedside cabinets or occasional tables in the living room or hallway. 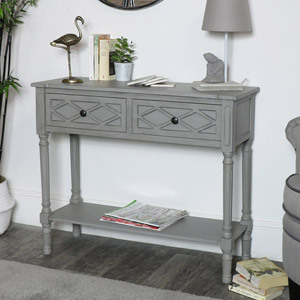 Matching furniture available in the Venice Range offers a unique look for any home decor. 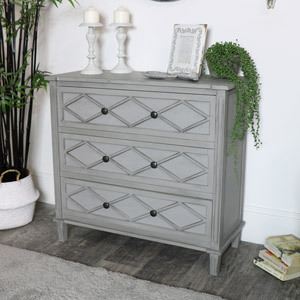 The 3 drawers offer a great storage solution for any room. Use as the pair or individually. 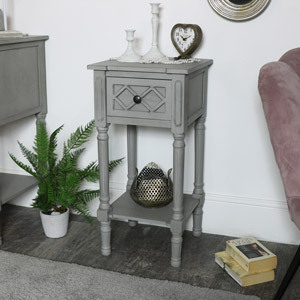 This pair of Venice Range bedside tables would make a fantastic bedroom or living room storage addition. 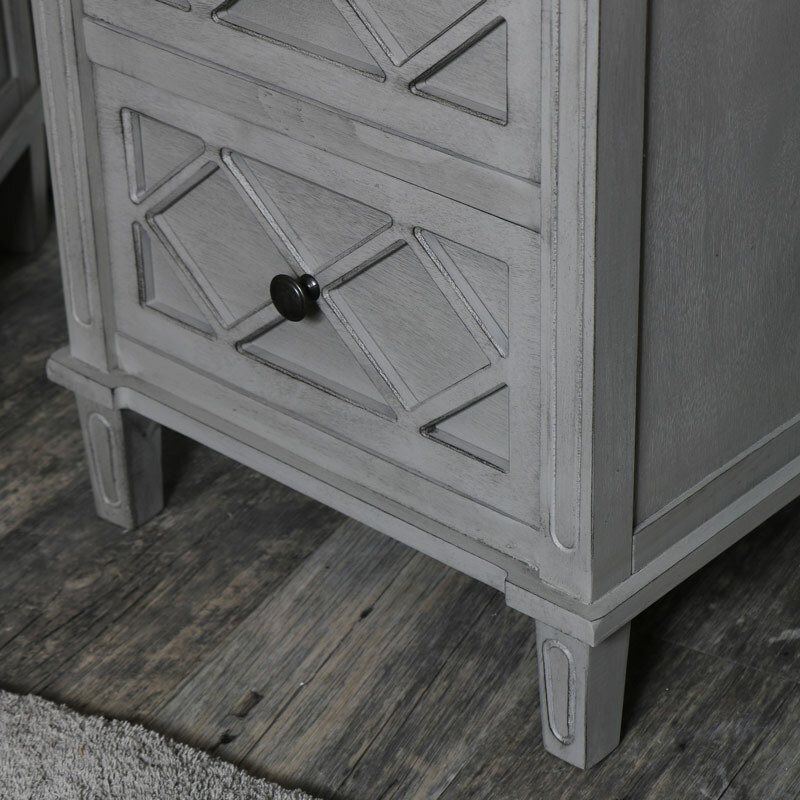 Each has a pale grey painted finish and a vintage inspired wooden latticed frontage. A elegant furniture set ideal for lovers of classic design. 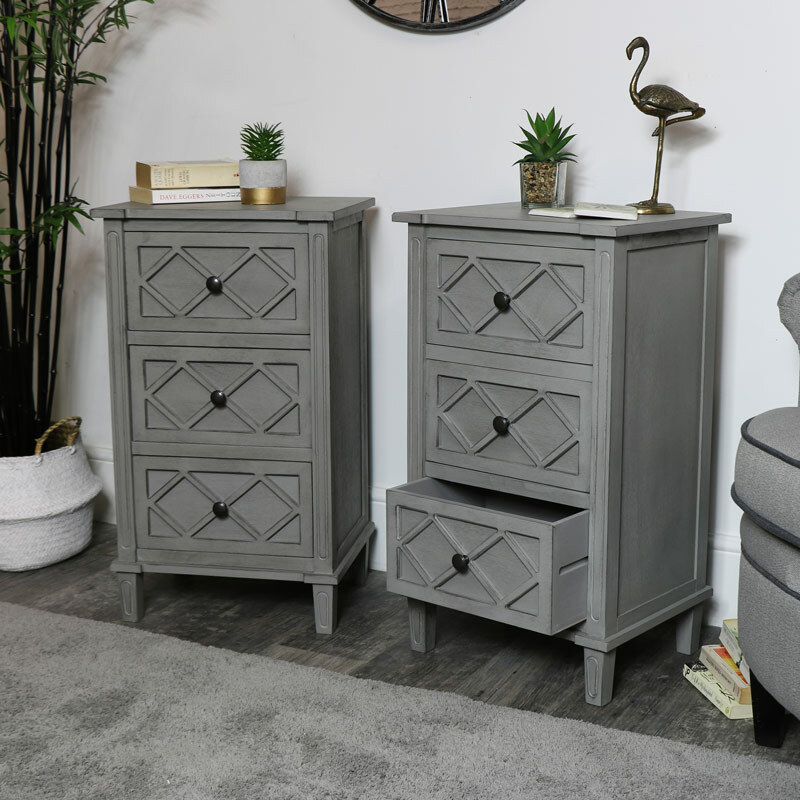 Fully assembled design, offering 3 drawer storage, these chests can be used as bedside cabinets or occasional tables in the living room or hallway. 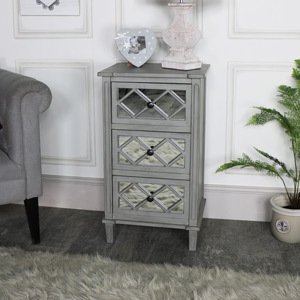 Matching furniture available in the Venice Range offers a unique look for any home decor. The 3 drawers offer a great storage solution for any room. Use as the pair or individually.